LEGAL DESCRIPTION: Long Legal all located in Section 25, Township 7 N., Range 20, W.I.M., Greer County, Oklahoma, lying South of the North Fork Red River and West of Highway 6. 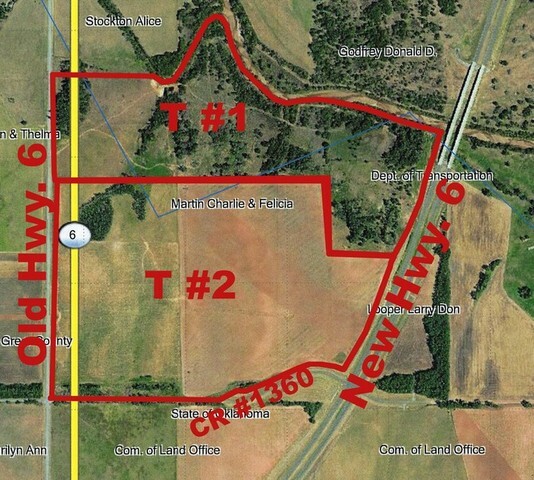 Containing a totalof 222 acres MOL. Surface rights only. TRACT #1 – The North Approx. 86 Acres, of which approx. 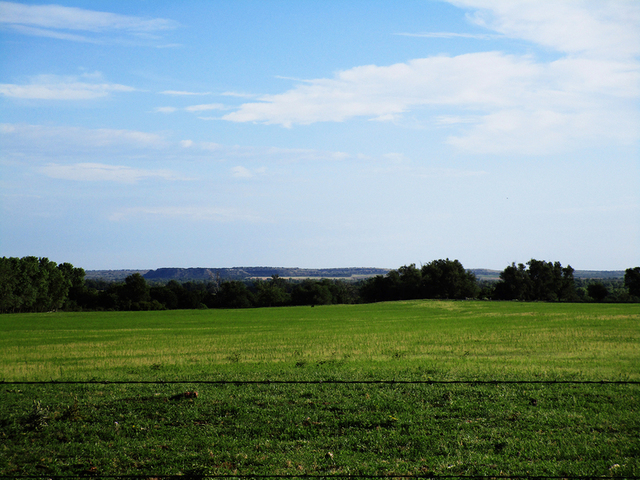 46 acres are in cropland, with the balance being Native Grass and Timber. 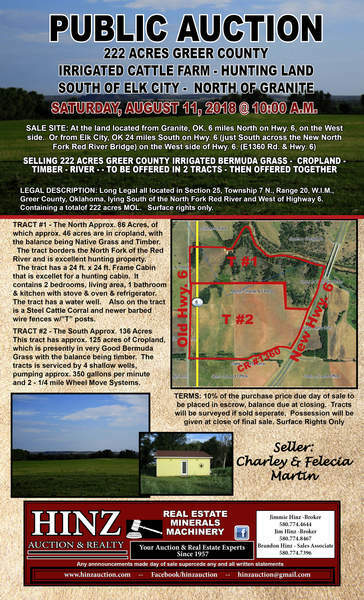 The tract borders the North Fork of the Red River and is excellent hunting property. This tract has approx. 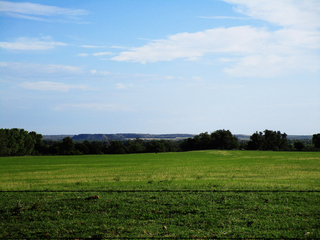 125 acres of Cropland, which is presently in very Good Bermuda Grass with the balance being timber. The tracts is serviced by 4 shallow wells, pumping approx. 350 gallons per minute and 2 – 1/4 mile Wheel Move Systems.